This phone tempered glass, shatter-resistant, smooth touch, easy installment, really a great choice for you. 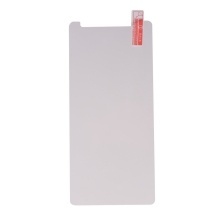 * For Lenovo K5 Pro screen protector. * 0.3mm, ultra-thin and premium tempered glass with smooth surface, high touched sensitivity. * Protect phone screen from dust, scratches, oil and shock etc. * Highly transparency, the screen is clearly visible. * Convenient to install and remove. * 9H hardness, highly durable, and scratch resistant-surface hardness.